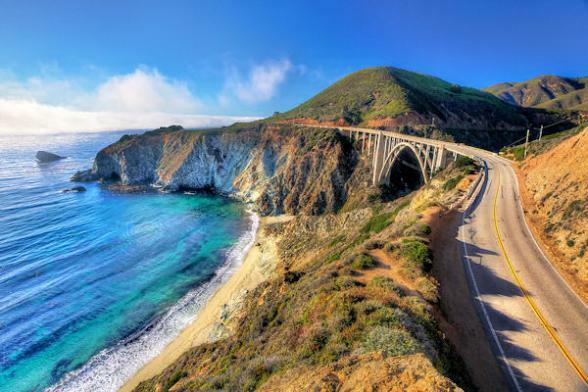 The rugged Monterey Peninsula has been called the greatest meeting of land, sea and sky and makes for an ideal fly-drive holiday. 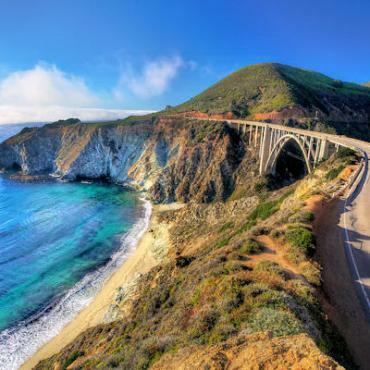 The stretches of scenic overlooks; the Pacific Ocean so close you can feel the sea spray; Bixby Bridge and 17-mile Drive all leading to the lively seaside community of Monterey. You'll feel like you are on a film set, but the stunning views along this section of California's central coast are the real thing. Monterey is known for its sense of community and hospitality with a history that’s part of its charm and evident in the adobes, gardens, mission bells and lighthouses. Point Pinos Lighthouse is the oldest continuously operating lighthouse on the West Coast and visitors can tour the lighthouse on this remarkable bit of the Monterey Peninsula. 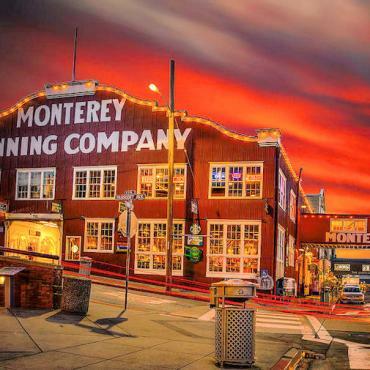 Old Monterey is the heart of the historic downtown area and perfect blend of Monterey’s past and the modern, charming seaside town it is today. Cannery Row, the one-time center of the sardine-packing industry, was immortalised by novelist John Steinbeck. Today, it's a popular strip of shops, restaurants, bars and the world renowned Monterey Bay Aquarium. Further down, you'll find Fisherman’s Wharf which is a great place for a mooch and whale watching tours. Located along historic Cannery Row, this oceanfront hotel boasts breathtaking views and contemporary accommodation. Constructed in 1824 by Spanish diplomat Don Estéban Munras, the hacienda inspired inn is the perfect blend of old world elegance and modern function. 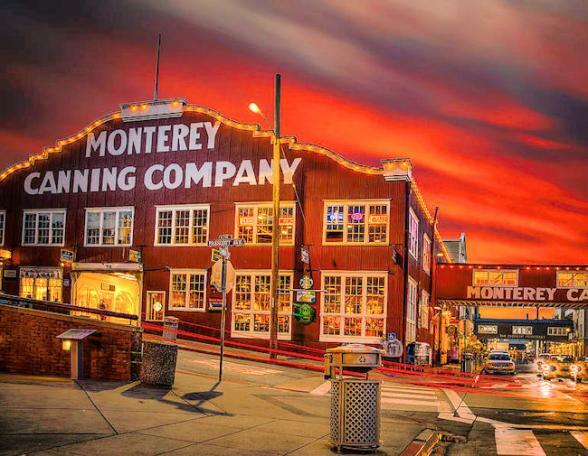 Monterey's grand dame is the centrepiece of Cannery Row. The only thing that surpasses the excellent location is the impeccable, personalised service. Few hotels capture the essence of this area like the Portola. Soak up picturesque Old Monterey with plenty on your doorstep.